A fellow collector recently brought me a unique saddle from his collection. It was manufactured by Pearl, a French company that I have advertisements in old issues of Le Cycliste. 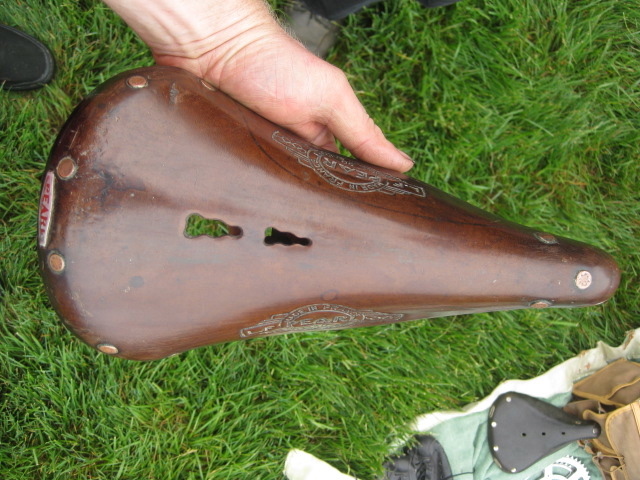 It is a beautiful 1940s-1950s saddle with great patina and some interesting features. 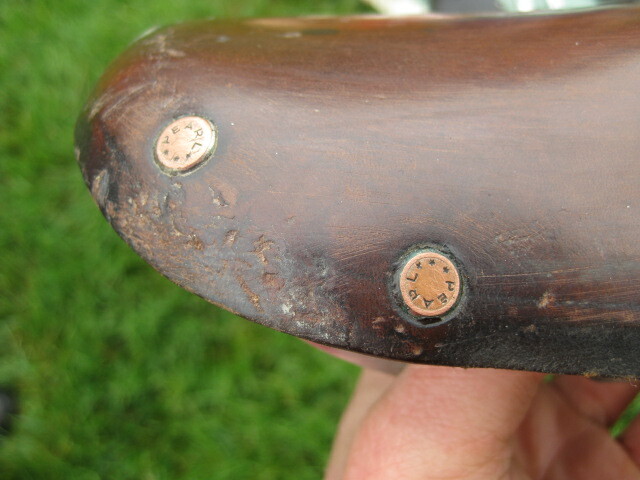 The copper rivets are stamped “Pearl”, a nice touch that Ideale later added to some of their saddles. 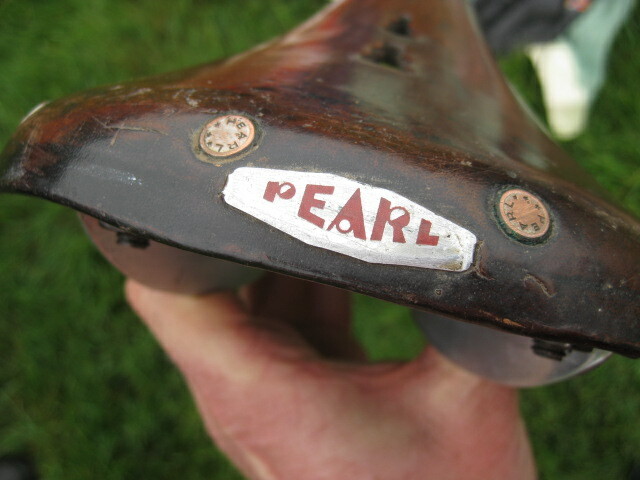 The French have a great sense of style with their lettering and logos, and the Pearl tag on the back of the saddle is no exception. 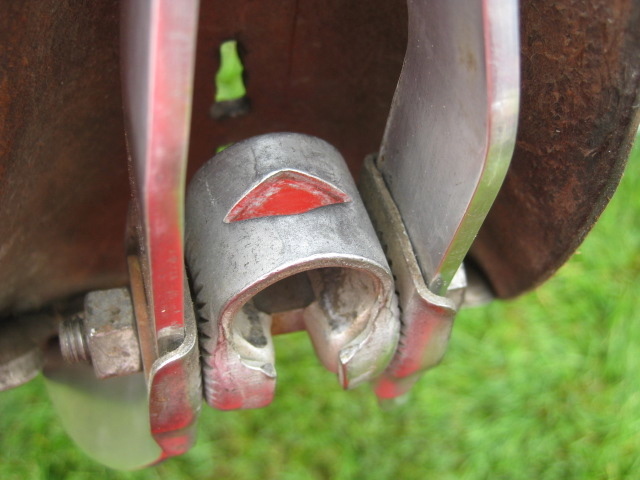 Aluminum rails are bolted to an aluminum cantle with bag loops mounted in between the two. This unusual coil spring is mounted in between the aluminum nose piece and the rail mount. 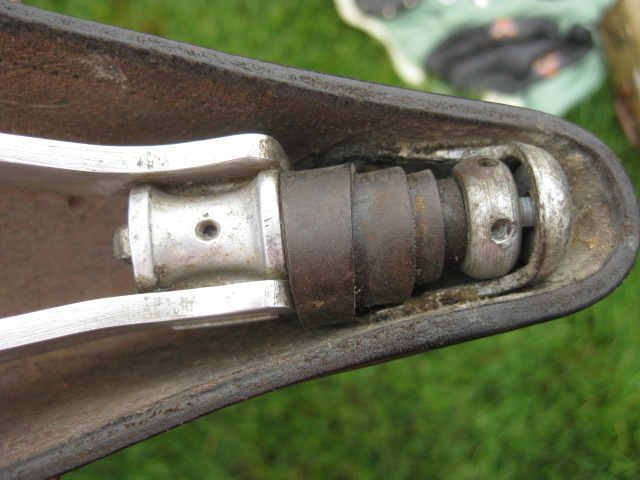 A pin tool would be inserted to adjust the tension of the saddle, I guess the spring was included to keep the tension between the front end of the leather saddle in proper tension with the saddle rails?? 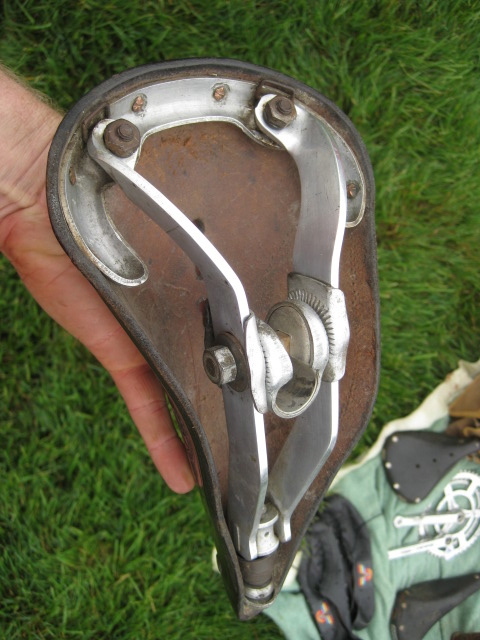 It is also worth noting the amount of aluminum parts involved in the production of this saddle. On a similar Ideale aluminum rail saddle, only the rails and seat clamp are aluminum, all the other parts are steel. 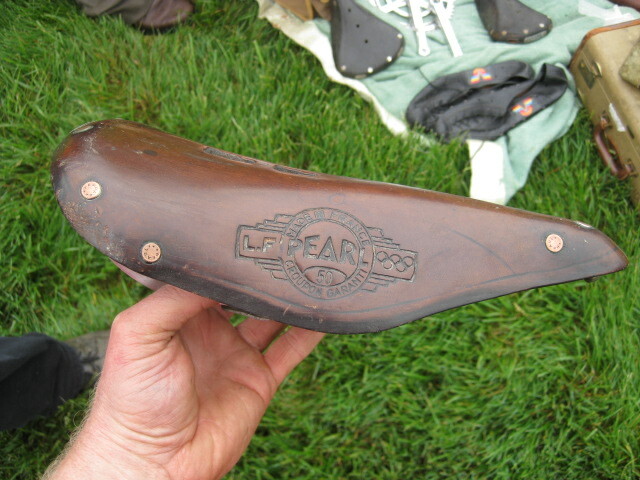 Most of the parts on this Pearl saddle are aluminum, minus the spring, bag loops, bolts/nuts and the aforementioned copper rivets. Even the seat clamp as a nice design element cut out of it.